Avigilon appearance search technology is a highly intelligent search engine for video data. It filters through the hours of footage in seconds, to easily locate a specific person across an entire site. This technology can dramatically improve incident response time and enhance forensic investigation by allowing CCTV operators to build video evidence and create a powerful narrative of events. The appearance search technology has quick search capabilities which allow operators to scan vast amounts of recorded footage efficiently, grouping video data to track down a person’s exact route, identify a previous and last known location and assist investigations. 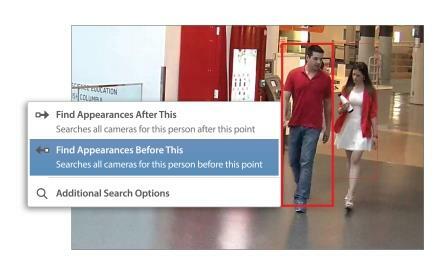 Appearance Search has been designed to integrate with Avigilon’s full line of video analytics solutions. Existing customers will have the opportunity to upgrade certain legacy products to benefit from the exciting new technologies.